Posted on February 17, 2013 by Captain Bligh! 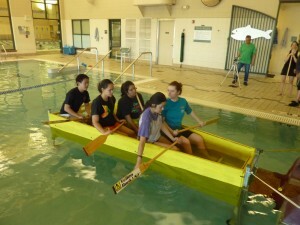 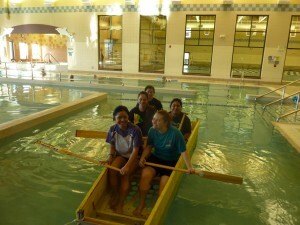 Below: Regis Captains Daniel Ng and Abbey Esbenson assist new Regis dragonboat paddlers during a pool/simulator practice, with a little help from Phantom Dragons paddler Ellen Lee (photos 16Feb2K13). 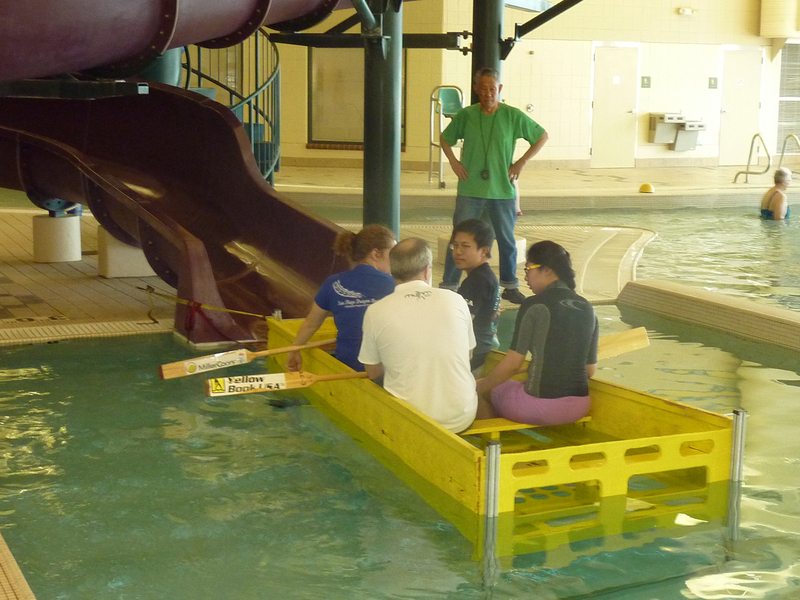 Below: Regis Coaches Daniel Ng and Abbey Esbenson introduce one of their new paddlers to the pool simulator, while Phantom Dragons assistant coaches Rob Lewis and Tom Ging look on (photo 23Feb2K13).